Sen. Jerry Moran speaks to reporters during a visit to Wichita's Eisenhower National Airport. He reiterated his opposition to a proposal to privatize air traffic control operations. Republican U.S. 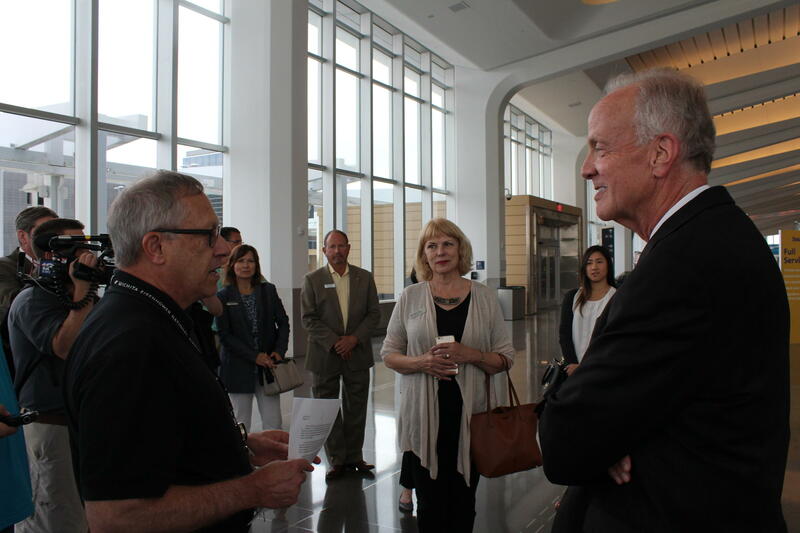 Senator Jerry Moran visited Wichita Friday to bring attention to what he calls a “damaging” proposal to privatize air traffic control operations. As part of its wide-ranging infrastructure initiative, the Trump administration wants to set up a nonprofit corporation run by a 13-person board to oversee air traffic services at airports across the country. A House bill outlines its plan to transfer operations from the Federal Aviation Administration to the nonprofit; an FAA reauthorization bill in the Senate doesn’t mention the president's plan. 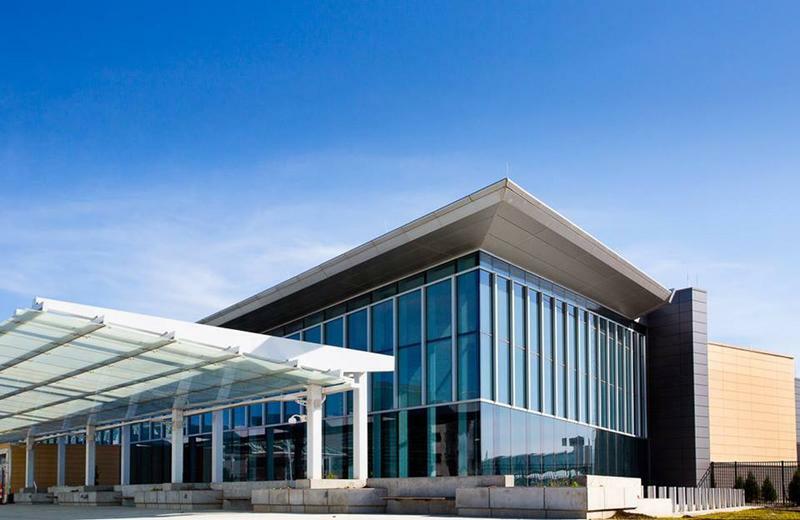 Speaking with members of the general aviation industry at Dwight D. Eisenhower National airport, Moran said under the plan, resources would go toward higher-traffic airports. "When the issue becomes volume, those of us who live anyplace but the largest cities with the largest airports, we’re, in my view, going to be at a disadvantage," he says. "This is terribly damaging to all but the largest airports, the largest communities in the country." The House introduced a similar plan last year, but Moran says it "bogged down" the FAA reauthorization process. Eventually Congress reauthorized the agency without the privatization plan, only through September 2017. Victor White, director of Eisenhower Airport, speaks to Sen. Jerry Moran Friday. He says now that the Trump administration is in favor of privatizing air traffic control, it could make opposition more difficult. "Privatization sounds good, and particularly for Republicans, privatization seems like it would be something that we would be for, but in this case and others, privatization is not a cure-all," he says. Congressman Ron Estes of Kansas wants to protect the needs of general aviation when it comes to President Trump’s plan to privatize the nation’s air traffic control system. 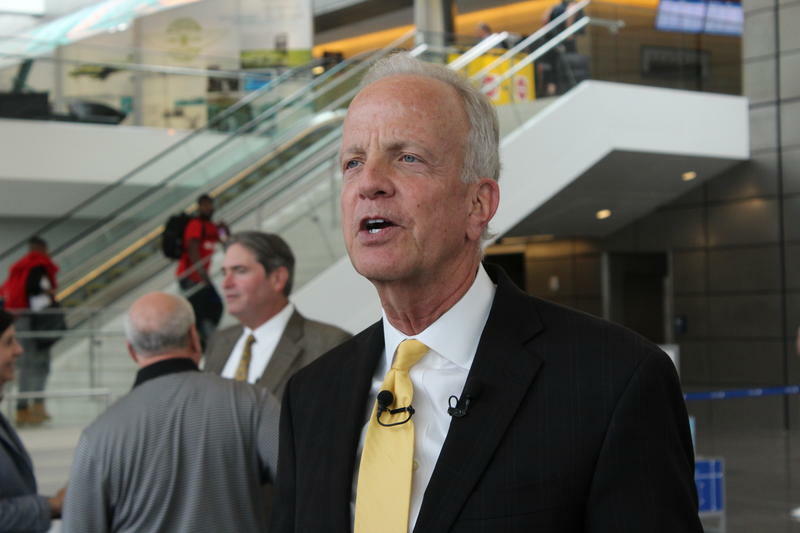 U.S. Sen. Jerry Moran is concerned that the plan will hurt small airports. The president says the reforms would modernize the system and make it safer and more reliable. Estes said in a statement that he shares President Trump’s desire to improve travel in the U.S. but also wants the plan to protect the needs of general aviation. 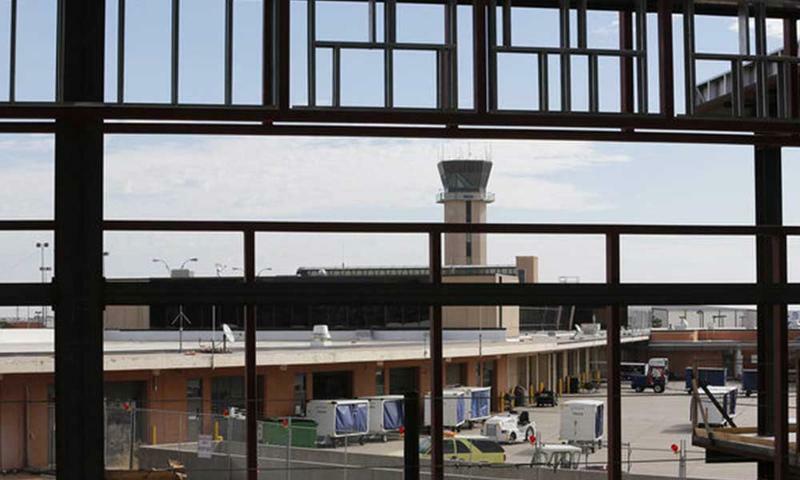 An aviation bill working its way to President Obama will keep an airport weather reporting program in place at Wichita’s Eisenhower National Airport through fiscal year 2017. 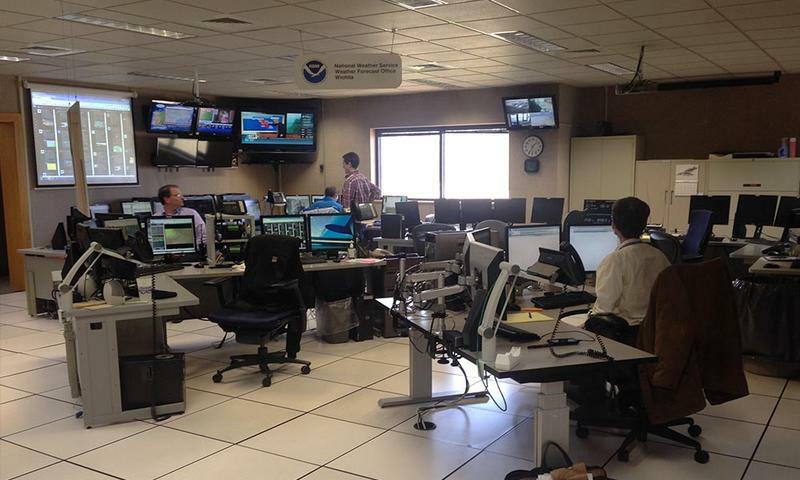 The legislation keeps the Federal Aviation Administration (FAA) from terminating the Contract Weather Observer (CWO) program at Eisenhower and 56 other mid-size airports until the agency does a thorough review of the issue.